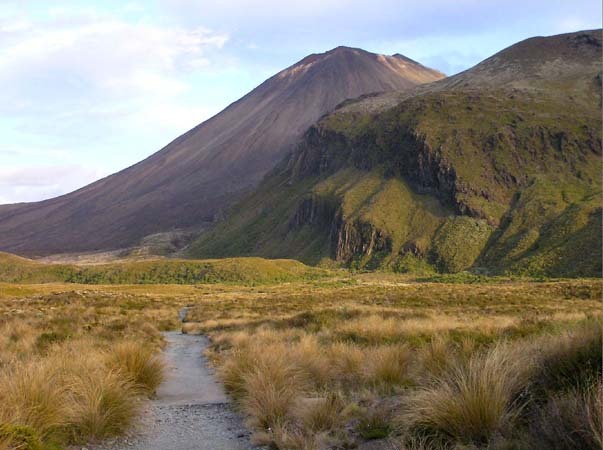 The center of the North Island is a raised bleak area surrounding a group of volcanoes. This track leads up over a saddle at about 6000 feet. I hike here repeatedly, for the joy of being here.